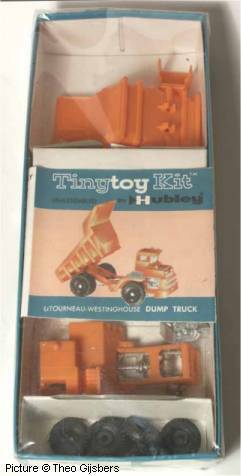 Hubley Manufacturing Co. began making cast-iron toys in 1892 in Lancaster, PA, USA. 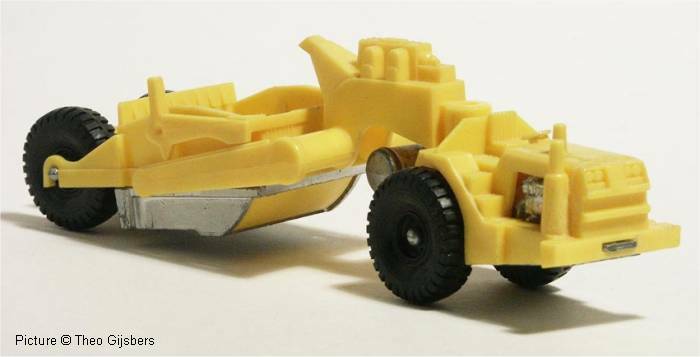 After WW II, die-cast and plastic models replaced the cast iron ones. 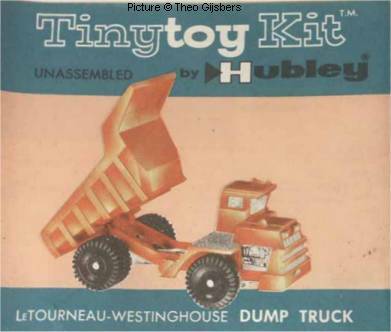 Hubley was bought by Gabriel Industries in 1965 and disappeared from the market shortly after the take-over. 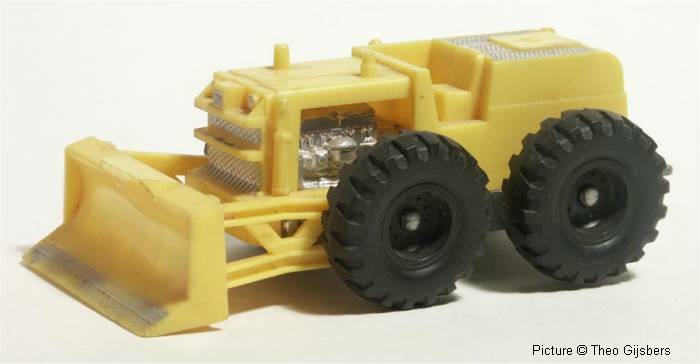 All of the cast iron and die-cast models and most of the plastic models are in other scales, but there are three plastic models that are close to 1/87. These three models were sold under the Hubley Tinytoy name and may have been available both as kit and as ready-made models.